Efficiently manage casual nurses, midwives, doctors and support staff. Put down the phone & spreadsheets. Automate filling vacant shifts. 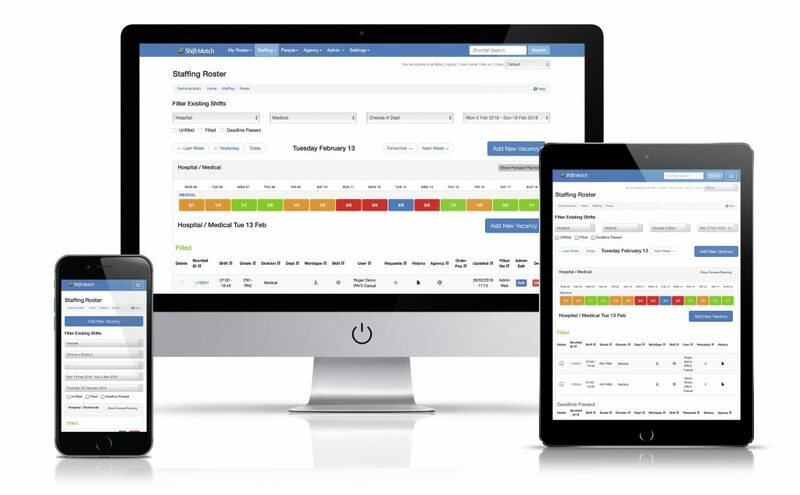 ShiftMatch is an automated staff placement system enabling hospitals and healthcare providers to efficiently manage large pools of contingent staff such as casual and part-time nurses, midwives, doctors and support staff. ShiftMatch has a proven track record since 2004 in reducing admin time and workforce expenditure in many public and private healthcare facilities. Nursing shortages are a widespread problem, with nurses regularly asked to work additional hours to fill vacancies. Here’s how our automated, trackable system will make a difference. Automate filling vacant shifts, eliminating manual workflows when searching for available casual staff. Filling vacancies is so much easier with ShiftMatch.